This recipe was my Grandma Dorothy Pattimore's that I remember eating every Thanksgiving. It's the perfect pumpkin pie! It makes two 9 inch pies. - Combine dry ingredients. Cut in Crisco until crumbly. Add water to form ball. - Of course, my grandma would roll out this pastry with a rolling pin, but I'm lazy so I just use my hands and pat it out right into the pie plates, then use the back of a measuring cup to smooth it down and ensure the pastry fills the corners. I like pastry and don't mind if it is thick in spots. - Mix all ingredients together in order above. 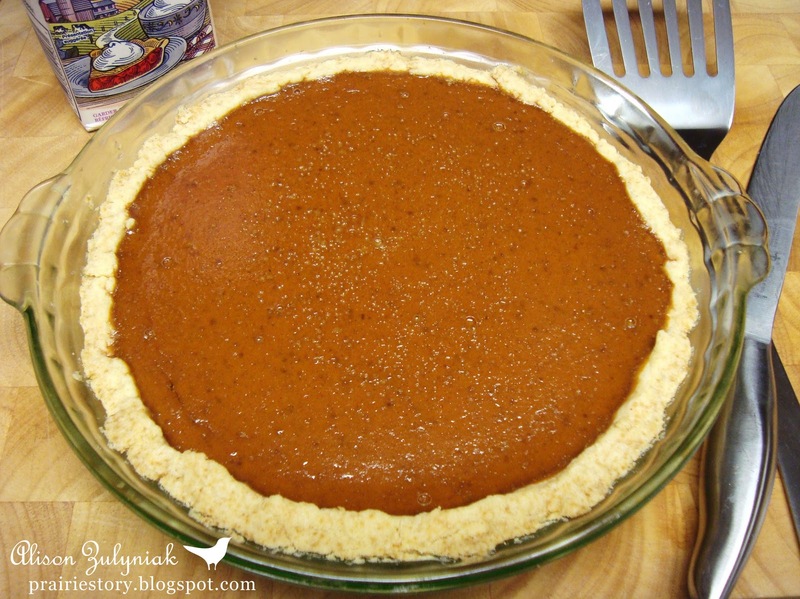 - Pour into uncooked pie shell. - Bake @ 450° for 10 minutes, then @ 350° for 40 minutes (until knife comes out clean). - Beat cream until soft peaks form. - Add sugar and beat to stiffen. Add almond extract. - Chill until you are ready to serve. Dollop on pie slices. I'm liking the addition of molasses. Sounds very delicious! Grandma's recipes are always the best!! I'm loving the fact that pumpkin pie recipes are showing up. I even more love when I find someone sharing a recipe that's been passed down. Thanks so much for this one.